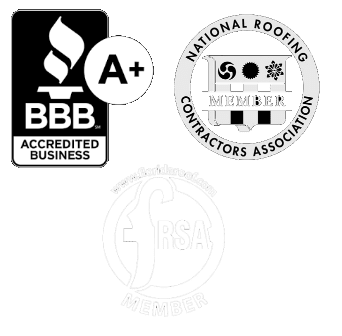 Roofing can be a tough subject, especially for someone who has little experience in dealing with Sarasota roofing contractors. When you are considering hiring a roofing contractor, it’s very important to ask questions to determine who would be the best fit for your job while also weeding out the contractor’s who only meet the minimum standards. 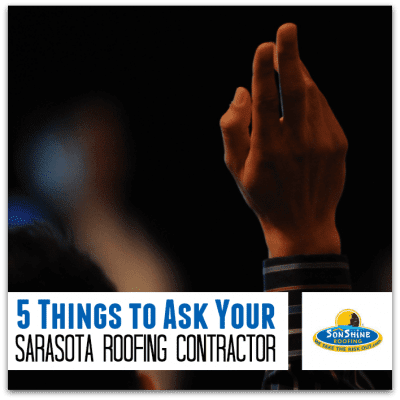 Here is a quick list of the top questions to ask your potential roofing contractor. One of the most important things to base your decision on is the previous work of the contractor. Ask them for addresses of previous jobs and personally visit them to see what kind of job was done. They also may have before and after photos in some cases, which would make it easier on your part. Roof warranties generally range from one to ten years, but depending on the company, they may offer a longer warranty. Usually, your roof will have two warranties, one for the materials (given by the manufacturer) and one for the work (given by the contractor). 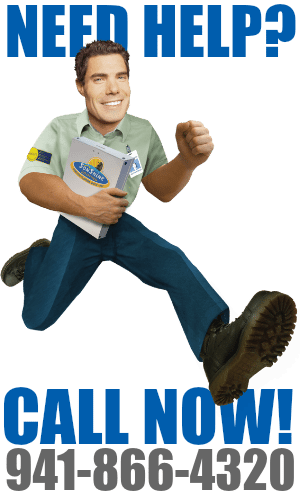 You should ask for details on both warranties. This is an important question to ask simply because the longer a company has been in business, the more experience they will have. This doesn’t necessarily mean they will do a better job just because they have been in business longer, however it may help you to make a more educated decision on which roofing contractor to hire when combined with the answers to the other questions. 4. Do I need to have the entire roof replaced or just repaired? Many roof leaks will not require an entire roof replacement. 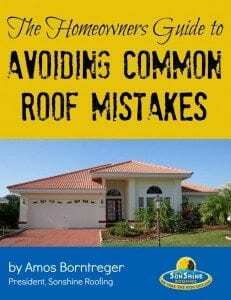 You can save lots of money by just replacing the damaged or problem areas rather than the entire roof. It’s important to know the severity of the roof damage so that you can know what sort of job needs to be done. 5. Do you have Workman’s Compensation insurance? Workman’s Compensation insurance keeps you (the homeowner) from being liable if a worker gets hurt on the job. The last thing you want to deal with is being sued because an uninsured worker or sub-contractor was hurt while working on your roof. Ask this simple question to relieve loads of stress later.